Snowflake follows best-in-class, standards-based practices to ensure your data and data warehouse security. 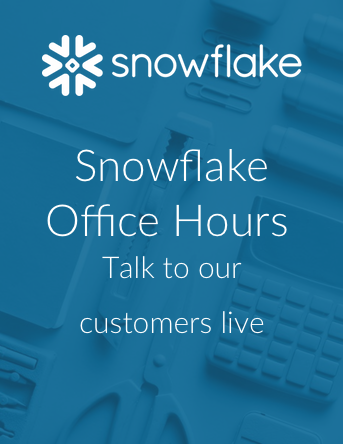 Security was baked into Snowflake at the very beginning, not as an add-on or afterthought, removing the complexity and burden of enabling security from our customers. Snowflake provides the protection required of an enterprise-class data warehouse. AWS PrivateLink connectivity to utilize Snowflake without going over the public Internet. These are all data security capabilities that other recent entries, such as Hadoop, don’t have. Snowflake customers can choose to run their cloud-built data warehouse on Amazon Web Services’ or Microsoft Azure’s highly secure infrastructure platforms. The Snowflake service runs inside a Virtual Private Cloud, with individual hosts protected by firewalls configured with the most stringent rules. All communication with the Snowflake service is protected at the network level using industrial-strength, secure protocols. And that’s just the beginning. We continue to adapt as new data security threats emerge, designing and deploying new countermeasures quickly and efficiently, without the obstacle of legacy functionality and architecture. Snowflake leverages established best practices for security controls as part of our security program. Snowflake works with AICPA-certified, third-party auditors to maintain security compliance and attestations including both SOC 1, Type II and SOC 2, Type II. 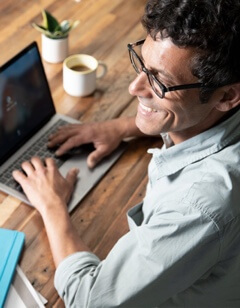 Snowflake is also PCI DSS certified, FedRamp Ready, and HIPAA compliant, with the processes and controls in place required by the U.S. Health Insurance Portability and Accountability Act (HIPAA). Learn more about our approach to security in our security white paper. Enabling a secure data warehouse for your organization is straightforward with Snowflake. Create your own instance of Snowflake today. Start loading data and immediately see the benefits of the only data warehouse built for the cloud. PDX required a data warehouse to help deliver its analytics-as-a-service to more than 10,000 pharmacies, while ensuring strict compliance with HIPAA requirements. Read why they chose Snowflake to make that happen.